Are you an active lady who is looking to find an easy to follow skincare routine that will effortlessly fit into your lifestyle? If so, today I am talking about an amazing range that I am currently using and loving, and I'm sure you will too! 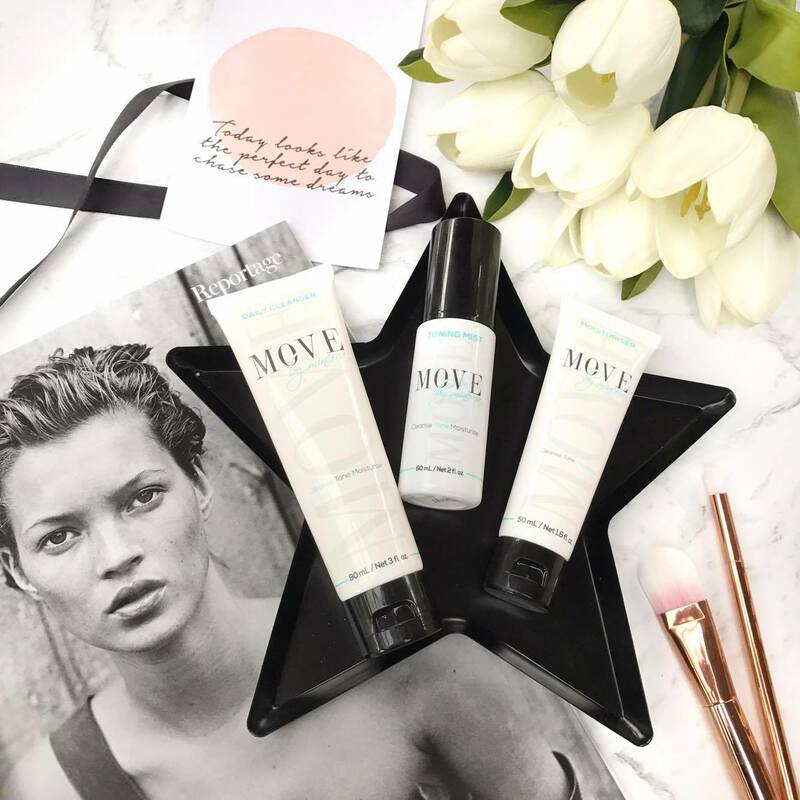 Move by Minerva is an Australian made and owned skincare company developed for fit and active women who lead an active healthy lifestyle. 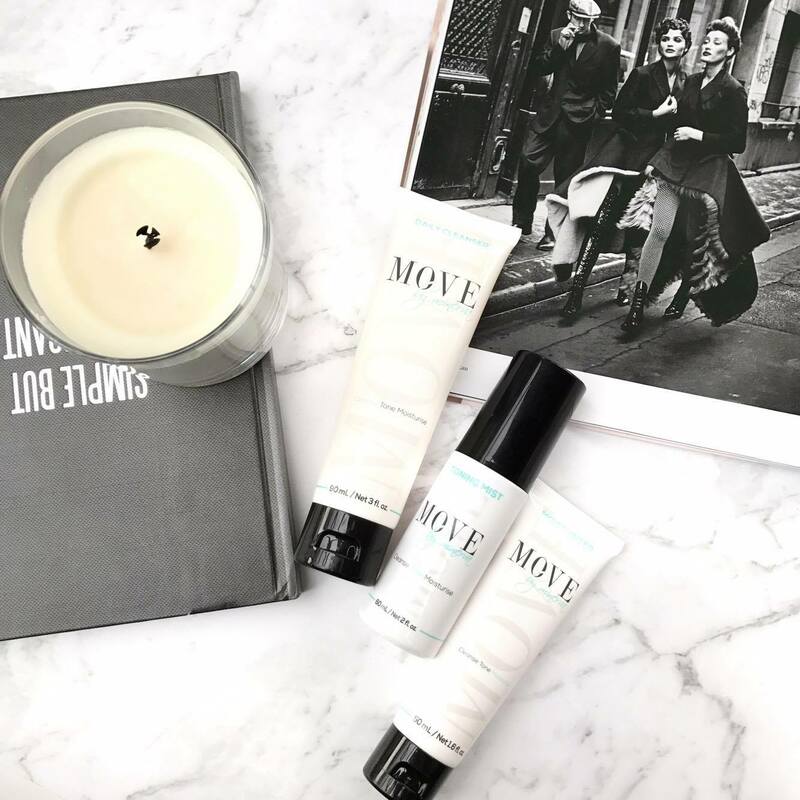 Move by Minerva's range of personal care products have been in development for over 2 years to ensure that the best combination of ingredients and formulas were created to best meet the needs of active women. Active women and athletes have their skin exposed on a daily basis to sweat, sun, dirt, chlorine, wind, salt and the weather throughout the seasons. Over time the damage done by the elements increases the signs of aging. The core product range includes a simple 3 step system, which includes a cleanser, toning mist, and moisturiser. Each of the products are quickly absorbed and light on the skin, low fragrance, restore skin pH balance and protects against exposure to the elements, and are free of parabens, mineral oils, dyes, silicones, sulfates, phthalates, PEGs, TEA or DEA. All products are based on natural ingredients and are not tested on animals! This gel type cleanser foams slightly and works so well at removing dirt, grime and makeup from my face. I apply to my damp face and massage in circular motions before rinsing. It cleans my skin thoroughly without stripping my skin or making it drier. I feel like this cleanser would be suitable for everyone; all skin types and all ages, from oily and breakout prone to dry. This toner smells like rose geranium and makes toning your face easier than ever. Simply spray this ultra fine mist onto your skin and you are onto the next step! I find this toner doesn't leave my skin feeling dry unlike others, and gives me such a healthy glow. Suitable for all skin types, this hydrating moisturiser is lightweight, non-pore clogging, and absorbs quickly into the skin. It contains blends of products that soften and smooth the skin, and also reduces the appearance of wrinkles. This formula was designed to be super comfortable for women who live an active life, and through boosting the water within the skin allows that fresh, more youthful, radiant complexion. I love that this moisturiser has next to no scent, as there is nothing worse that a moisturiser with fragrance so strong you end up with a headache. It is super lightweight, but still hydrating, and is packed full of ingredients that will nourish the skin. It is free of pore clogging ingredients and leaves my skin happy and hydrated. 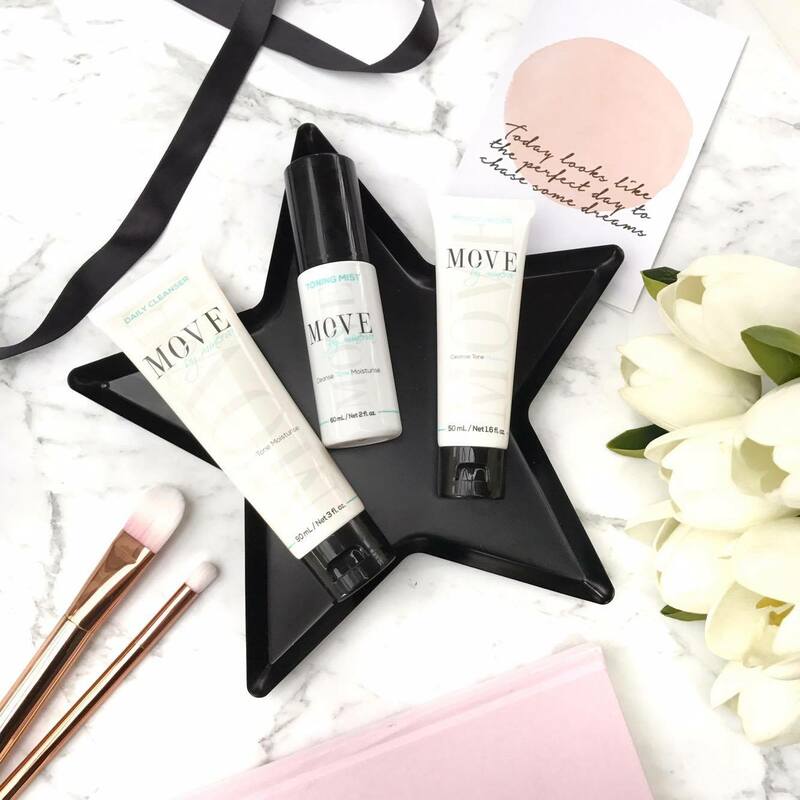 I highly recommend Move by Minerva products if you are looking for an easy 3 step system to leave your skin feeling and looking its best. Move by Minerva offer their products in a trio pack, or individually. Head to their website to purchase.